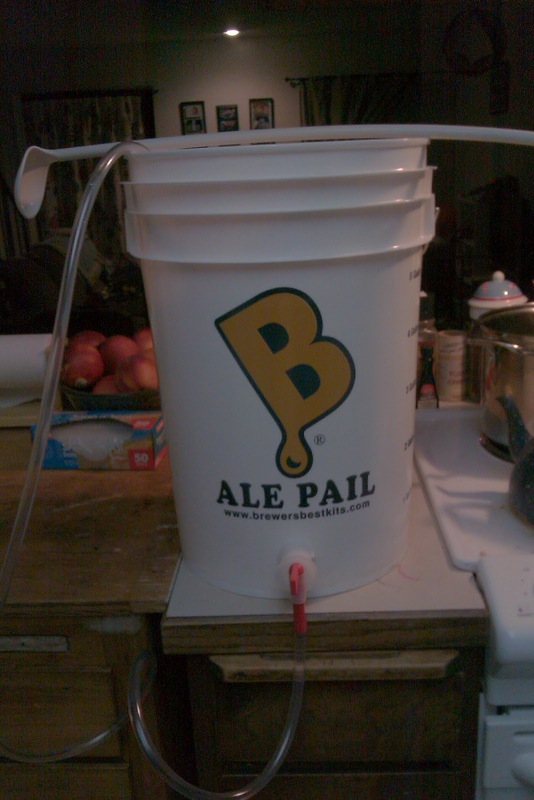 Yeah-that's a 6.5 gallon bucket to mix my soda in-complete with spigot and hose w/siphon for easy bottle filling and huge stir spoon(to reach the bottom). I was super stoked about it. The girls enjoyed the unpacking too, as it was a 12x12x24 box filled with large sheets of paper. My eldest turned the box into a pirate ship-complete with mast and sail(the mast was 2 taped together pool noodle lightsabers with the sail being made from one of the many sheets in the box). I can't wait to use this amazing piece of equipment to make some tasty cheater soda(using Root Beer extract ) with my daughters later today. I didn't have enough bottles for 5 gallons, so we took a quick trip down to our local brewery shop(North Corner Brewing if you're in the Bellingham, Wa area), and picked up a case of bottles, more caps and some new yeast. After that was a quick jaunt to pick my wife up a kitchen scale(that'll come in handy for me as well), and a fun lunch at a local donut shop. While there we got a couple of bottles of soda for future reviews, so be on the look out for those as well. After I get some sleep I'll take my new toy for a whirl and hopefully talk my wife into taking some pictures to help document the whole process. See you then!